Neem Oil is a really safe, organic, economical way to get rid of lots of garden pests. 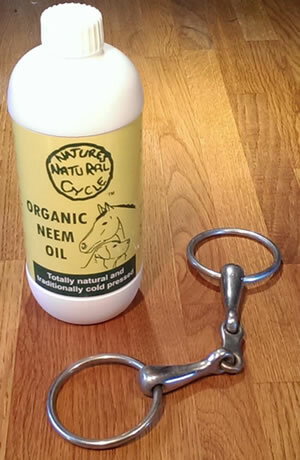 It’s pretty difficult to work out what Neem oil cannot be used for in the care of your horses. 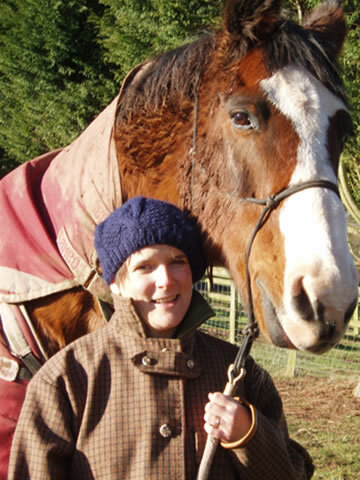 If your horse or dog ( and other animals) are suffering from skin complaints such as mud fever, sweet itch, mange, thrush and so many other problems, including even ringworm, Neem can really be helpful. 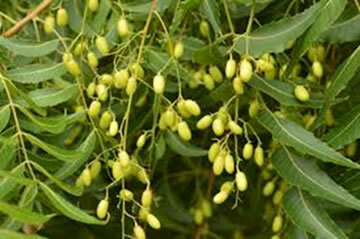 Neem Oil is a soothing antibacterial, anti-fungal natural, organic oil. An oil that has been used to treat ailments for thousands of years in India where the Neem tree (Azadirachta indica) grows all over the place. Well there’s lots more ! 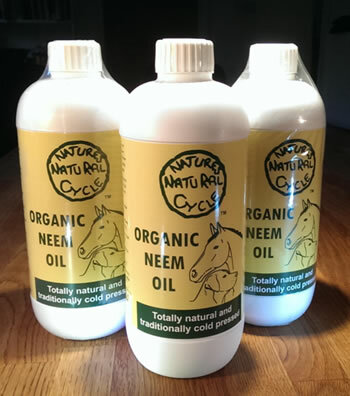 Neem Oil is a really effective natural deterrent against loads of flies and horrible biting things including lice, mites, ticks and even the dreaded Scottish midge ! So how do you use Neem Oil ? Well for existing conditions e.g. mud fever and sweet itch, use neat and gently bathe the infected areas. 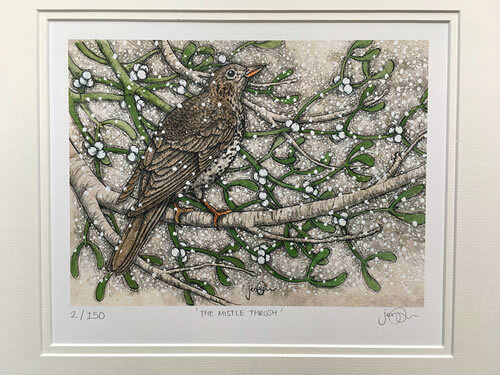 For thrush also use your Neem Oil neat. Gently covering the frog and central sulcus daily, in fact the whole of the exposed area would be best, and then slowly increase the timing between applications as the condition improves. An important extra benefit is that while your Neem is improving the infected area, it will also be deterring all those biting things - some of which may have caused the problem in the first place ! Using your Neem Oil to deter all those pests can be done in two ways. When the flies and other nasties are really bad, mix a solution of one part Neem Oil to 50 parts warmish water and sponge (or spray) over your horse. Doing this every two- three days during the season would really help keep those flying things away ! Another way to use your Neem Oil would be to combine with a shampoo. I mix a teaspoon of Neem Oil with slightly less Green Tree oil shampoo (my choice, you can use any gentle shampoo) with a litre of warm water. Really give your horse or dog a really deep massage with the mixture before washing off. You will be surprised not only how it deters pests, but how great the coat looks after a few applications ! For ticks though, perhaps a less gentle approach may be necessary. Again use your Neem Oil neat, spreading all around the tick. They should be gone overnight. Well, perhaps a few people may think the smell is a bit strange. The other is that a very few people ( I have never met one but it has been reported) may be allergic to the oil. Perhaps if you have a particularly sensitive skin, or are prone to allergies, it may be best to wear some protective gloves. Have I sold you on Neem yet ? Well sorry, but I’m still going on ... and on – but this natural oil does so much ! Applying just a teaspoon Neem oil (5 ml) to a litre of water makes a really effective spray for such pests as Aphids, Whiteflies, Snails, Root Knot Nematodes and even Mealybugs. 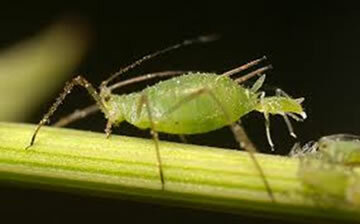 It is effective either by either killing the pests outright or by preventing the larvae feeding. Also quite a few customers have told us that Neem is ideal for preventing fungal diseases such as Black Spot, Rust and Mildew. Neem Oil – a natural, organic, safe, biodegrading pest repellent and anti fungicide. Really sorry though, we ask £5.95 contribution towards getting them to you.